Christmas season is in full swing in NYC right now. Super exciting and super fun! We went to the Holiday Fair at Bryant Park, walked over to Lord & Taylor to see their decked out Christmas windows, took a bus ride to FAO Schwarz, and walked down on 5th to see THE Christmas tree at the Rockefeller Plaza. Everywhere was was packed with people, but it was still worth seeing it in person. 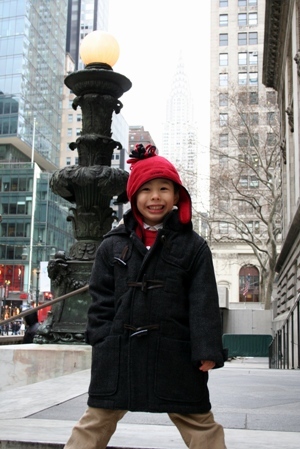 We are enjoying Christmas in New York and think that this is the place to be!